In today’s market, with utility enterprises at a standoff with ageing infrastructures and its stringent regulatory benchmarks, and with the rising demand for consumption of services, companies need to employ distinct strategies now more than ever. With growing pressure from investors, they are looking for ways to be more economical with capital and O&M expenditures. Asset management provides critical information on capital assets and timing of investments to help firms make efficient informed decisions. Technology has enabled companies to take asset management to a completely new level. Utilities providers can choose from a varied range of technologies to empower their asset management strategies that include AMI technology, data analytics, sensor technology for outage detection and prediction, advanced load and storage management, and DER visualization and management. Major trends influencing utility asset management strategies revolve around budget allocation, regulatory changes, customer preference, and grid complexity. Utility asset management strategies have evolved proportionally with technologies that enable actionable data-driven decisions that are based on the actual condition of distribution assets. As the adoption of these enabling technologies grows, new strategies will emerge, redefining the asset management discipline and providing new avenues for utilities to derive the greatest value from their asset investments. To uphold a delicate balance, it has become critical for enterprises to choose proper technology and select best vendors that are at the forefront of efficiently tackling the impediments across the asset management realm. 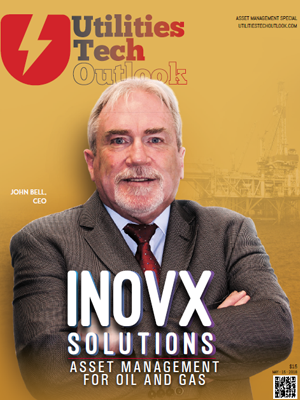 In the last few months, based on these technological advances, a distinguished panel comprising of CEOs, CIOs and analysts, along with Utilities Tech Outlook’s editorial board reviewed and shortlisted the top companies that are at the forefront of delivering turnkey asset management solutions. 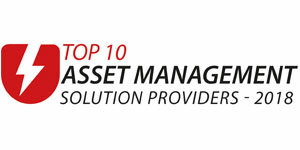 We present to you Utilities Tech Outlook’s “Top 10 Asset Management Solution Providers - 2018,” featuring the companies that add value to the asset management domain.